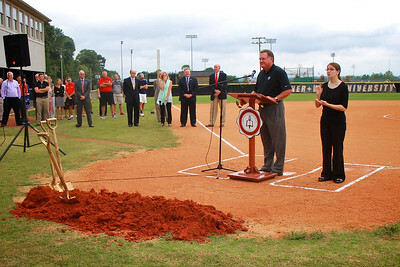 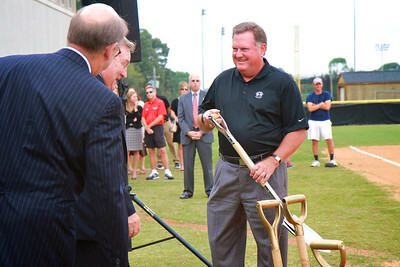 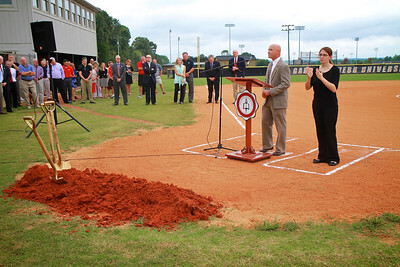 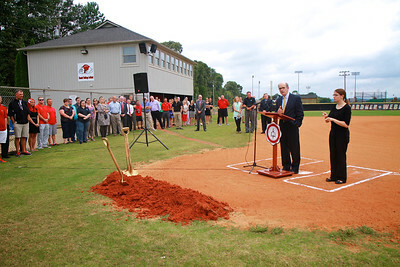 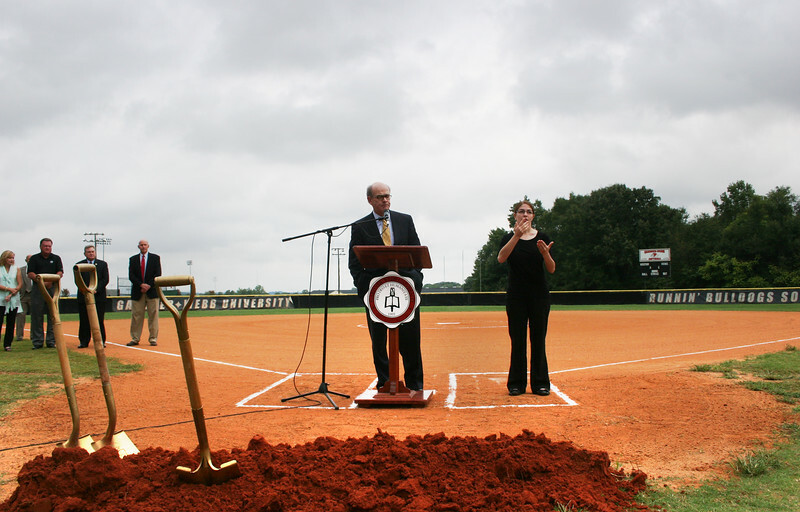 2014 softball groundbreaking on a cool September day. 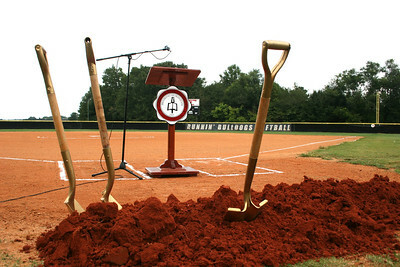 Shot of the old softball field before new construction will start on the groundbreaking. 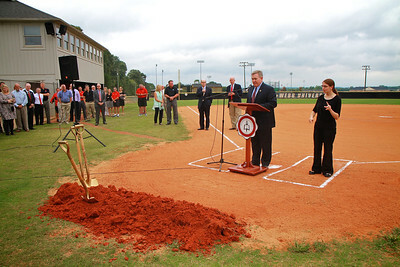 Woody Fish greeting everyone at the groundbreaking. 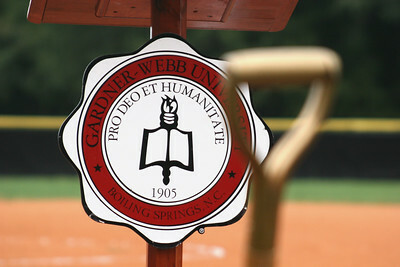 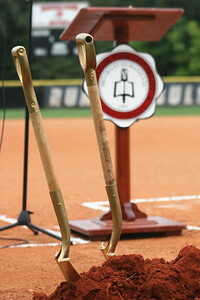 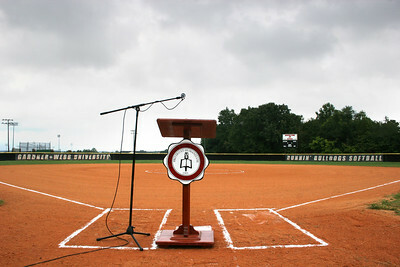 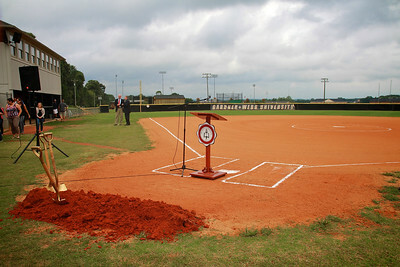 Before the groundbreaking of the new softball stadium. 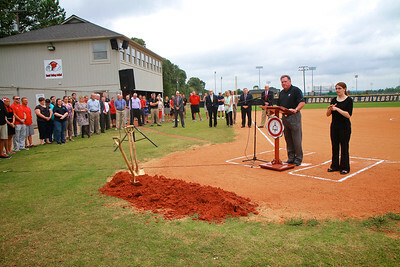 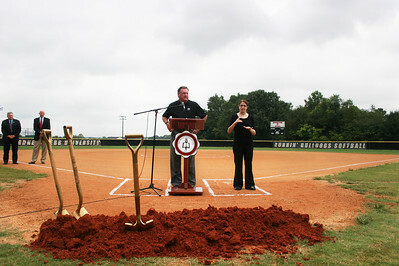 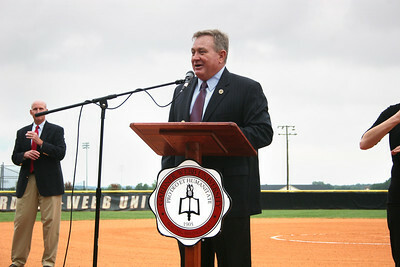 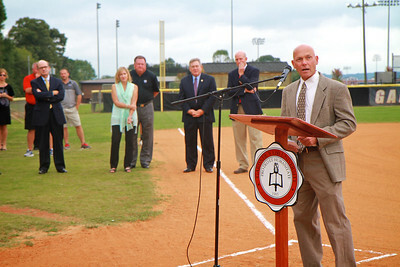 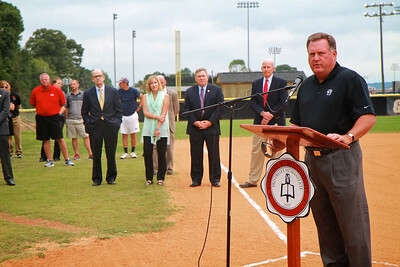 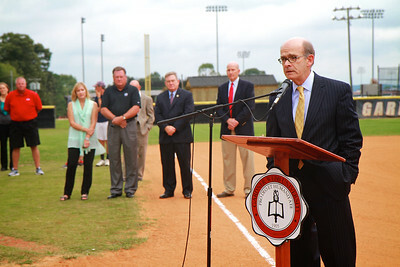 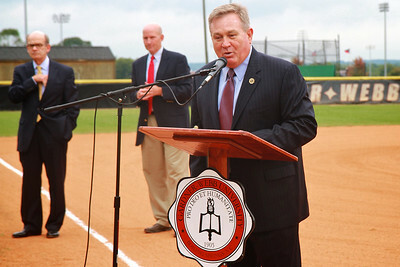 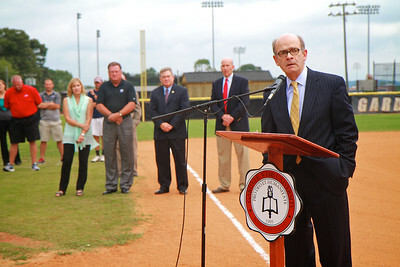 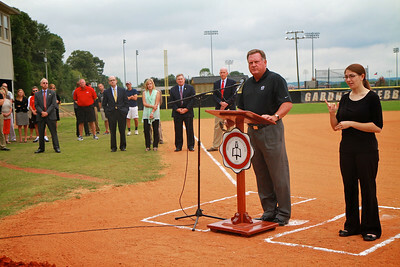 Dr. Frank Bonner speaking to the crowd at the new softball groundbreaking. 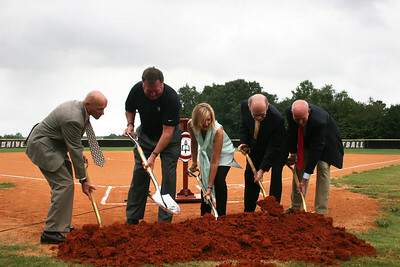 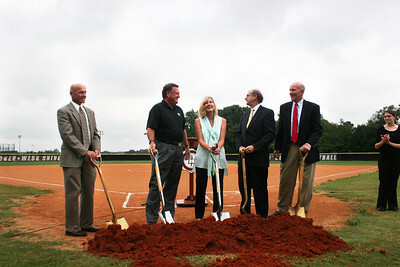 Marie Brinkley, David Brinkley, Woody Fish, and Chuck Burch at the new softball stadium groundbreaking. 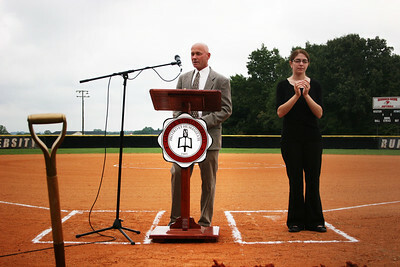 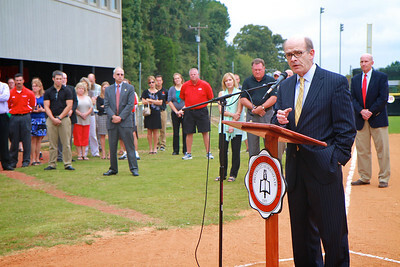 Mr. David Brinkley addressing the crowd at the new softball stadium groundbreaking. 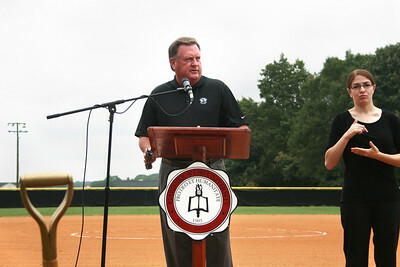 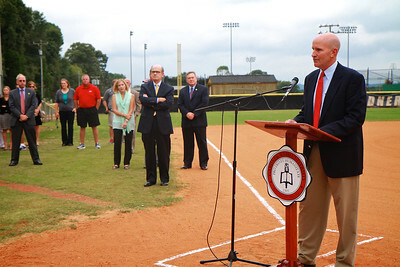 Head GWU Softball Coach Tom Cole addressing the crowd at the new softball stadium groundbreaking. 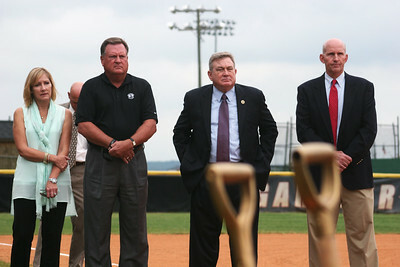 Tom Cole, David Brinkley, Marie Brinkley, Dr. Frank Bonner, and Chuck Burch making the first digs at the new softball stadium groundbreaking. 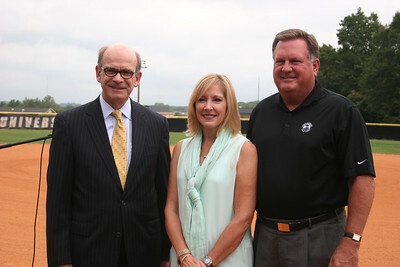 Dr. Bonner, Marie and David Brinkley at the new softball stadium groundbreaking. 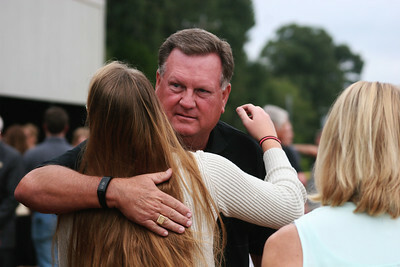 David Brinkley hugging a former GWU softball alumna. 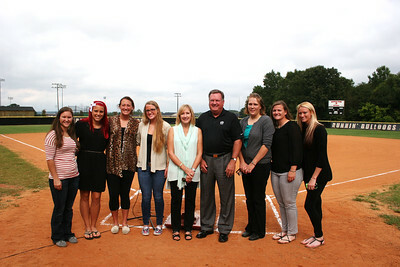 David and Marie Brinkley pose with current and former GWU softball players.